We are now about 36 hours from the landfall of Hurricane Harvey, which is taking advantage of 87-degree waters in the Gulf of Mexico to intensify today, and may continue to do so right up until landfall late Friday night or Saturday morning. The rapid intensification we’ve seen today (as of 1pm Harvey had sustained winds of 85 mph) is the reason why meteorologists are so watchful of tropical lows in the Gulf during August and September—in the absence of wind shear, the bath water out there is highly favorable for storms to strengthen. Today’s strengthening, and increasingly bullish model forecasts for intensity, have caused the National Hurricane Center to increase its predicted wind speed for Harvey’s landfall to 125 mph, just shy of Category 4 hurricane intensity. Although intensity forecasts are imprecise, it seems safe to conclude that a powerful hurricane will be coming to the Texas coast soon. With a stronger storm, we need to be more concerned about the landfall location. Confidence continues to increase in a landfall between Corpus Christi and Port O’Connor. This obviously will have big implications in terms of wind and storm surge for Corpus Christi (where there is a voluntary evacuation), and points north to Freeport. We will have more about the impacts to Texas in an update later this afternoon or early evening. For now I want to address the recently completed run of the European forecast model, which is going to be buzzing around the Internet this afternoon. The operational model brings a hurricane to the Texas coast, like other forecast models, between Corpus Christi and Port O’Connor. But instead of carrying the storm inland for about 100 miles, and weakening it, the hurricane stops (running into high pressure) and moves back east, over the Gulf of Mexico. It then runs offshore, up the Texas coast, and into Louisiana. The concern with such a system is that it would have more time over the Gulf, and bring strong winds up the coast. The European model is a very good model, so it’s going to get a lot of attention. And this is a plausible scenario, because at some point Harvey is going to run into high pressure to its west, and likely at some point it is going to get pulled back to the northeast. It is likely the greater Houston area will see unpleasant, but manageable wind impacts initially from Harvey. Some tropical storm force winds are possible Friday night and Saturday morning. At this time I do not think power outages will be too widespread. Rainfall remains the primary threat. Saturday afternoon through Tuesday, travel may become difficult to impossible. Some areas will probably be fine, but others deluged. Totals are likely to be higher closer to the coast than for inland parts of the Houston metro area. For Houston, the heavy rains will probably begin to wind down from Tuesday evening into Wednesday morning, with residual problems into Wednesday. Flooding concerns will extend from south of Corpus Christi all the way to southwestern Louisiana. Flooding problems will likely be widespread, with potentially huge impacts. Risk seems to be increasing that Harvey will re-emerge in the Gulf of Mexico early next week, and retain Tropical Storm intensity, or stronger. We will update again late this afternoon or early evening. Finally, a note on comments. I have tried to keep up with them, but I have received a couple of hundred today, and I just can’t reply to all of them in real time and keep up with my other responsibilities. I will do what I can, but can make no promises. Thanks! In terms of evacuating Corpus Christi area, where is a safe place to go? Go to San Antonio or the hill country. Thank you MORE now then ever! Not sure what I would do in hurricane with out your updates!! Everyone stay safe!!!!! Just wanted to thank you for your updates. I appreciate the time and effort you and your staff do to share these updates. This is the only site I’ve been watching. Job well done. Sounds like you’re saying the European model significantly drops our chances of bad weather (less those closest to the cost). Am I reading you correctly? No. That’s not the point being made. The point being made is that if the storm remains off the coast, it can still maintain strength and collect moisture. And that is not good for anyone. Hi – can you comment specifically on what this European model would mean for the 610 loop area? Does heavy rains starting Saturday afternoon include this area? Thank you for your excellent reporting. Yes, heavy rains starting later Saturday or Sunday for that area. Do you think any Houstonians should consider evacuating? A mandatory evacuation has been called in Brazoria County for all areas between the Gulf of Mexico and the Intracoastal Waterway. However, if you’re in the Houston metro area, and not living right on the water, I do not think you should consider evacuating unless it is called by a public official. That seems unlikely at this time. By water you mean the Gulf not a bayou correct? Thank you for explaining the coastal impact in the best way that helps me make my decisions..I live about 13-16 minutes inland from Sylvan Beach, west of Hwy 146…I am in evacuations zone B…I don’t have specific mobility or health needs, based on the info we now have, I was considering sheltering in place in my home..Is this foolish? David Paul on Khou 11 said that the winds will be lesser, some as low as 30 mph, so long as Harvey maintains its present course? Don’t you agree? What percentage chance would you give of Harvey actually changing course and making landfall at Brazosport or Freeport, thus creating the same kind of situation for Houston that is/was predicted for Corpus Christi? No. There will be rain and heavy winds, but the eye likely will be far south. Mass evacuation would just create more problems. You mention power outage would that be due to wind or rainfall – I’ve got a 6 month old and live near Memorial City…thoughts on how bad that area will be? We never know what will happen in this area concerning Electricity. Its all about how many trees fall on power lines. During Ike the eye came right through the Houston area and there were Thousands upon thousands of trees down. Took many days to get power back. If we have flexibility to leave during this mess. Would Dallas be far enough? When do you think we could return? Wed or possible later? Dallas is more than far enough. Rain estimations are very severe nearer to the coast. The National Hurricane Center (NOAA) has decent maps for what area are likely to be affected fastest. Eric and the gang update as much as they can, and do an incredible job, but the shear amount of data during a situation like this just can’t be covered. Here is the latest rain fall map (largest threat inland). It shows 10″ up to the Austin area. I’m in Sugar Land. Do I need to worry about patio furniture and stuff outside in the backyard with the wind? when a storm with undetermined winds and rain is on the way it is always a good idea to secure patio furniture and assorted mobile things in the yard. You never know what gusts will happen where. I hope you have someone who can help you put it all either in the yard or secured near a brick wall of your home. Take care and stay dry. Darryl, consider the stress on your old parents of the drive all the way to Houston. They may feel emotionally more comfortable being closer to their house in Port Lavaca. Victoria with your sister might be just right. For NW Houston, how will the flooding compare to the floods last April? Yikes!! Hopefully this thing dies out. I guess it’s time to test the new sewers in Houston. Just want to take a second and make sure you know we appreciate this guys. The fact that you are close to (or even attempting to) answer every comment has not gone unnoticed or unappreciated. Exactly. These guys are amazing! If the European model is correct how would that impact the rain amounts vs. the current models? My girlfriend is moving from San Antonio to Houston (Greenway Plaza area) tomorrow. She expects to leave San Antonio around 8-9am and drive to Houston. Will she be okay or should she expect some rain? I am not Eric, but based on the information I’ve been seeing as of 6PM Central now, the first feeder bands and tropical storm force winds will start hitting the Houston area around NOON on Friday. However, the fact is that this situation can change on an hourly basis. This storm went from “meh” to “OMG” in a matter of hours. If she has the ability to defer her trip, I would suggest doing so. Imagine, for example, she beats the weather, and arrives at her new home and the power goes out for 3 days. So if I’m scheduled to fly out of Hobby Monday morning, that’s probably a no go, right? Thank you for the info today. Trying to decide if I try to go to an out of state wedding by plane this Friday. You mention travel being impossible starting Saturday afternoon. Does that include air travel? Would you expect flights to be cancelled starting Saturday and through Sunday? Expectations for how much flooding/wind in the Fayette/Colorado County areas? Eric – Thanks for your in-depth analysis and straightforward reporting. Much appreciated! The European model is the best hurricane forecasting model right now. But the best representation is a composite of many models. Weather Underground has an excellent write up on models as an in depth topic. Is this the 25% likely scenario you mentioned in an earlier post? That was a little more favorable for Houston as far as rain totals, etc? No, this is the 75% (most likely) model. The 25% model had Harvey going straight inland and dying there. Confused — does the new European track mean less potential for severe flooding in Houston metro area? Help me Eric! I’m supposed to fly out of IAH Sunday afternoon for my dream vacation to Europe. Any benefit to trying to leave Saturday afternoon, or even Sunday morning? Or is too much guess work to know? (Love your no hype coverage, but it’s making Harvey all the more scary because I know you don’t exaggerate). If it is possible for you to go Saturday, that probably is going to be a little better than Sunday. You might look into rescheduling your flight to be from Dallas. We did that during Rita, I think. We just changed my daughter’s reservation from Sunday to tomorrow morning. She had to be in France by Monday…..I’d change your plans and bite the bullet! Watch your airline’s weather advisory page…they will tell you when you can change with no change fee. Good luck! No, this is the 75 percent scenario. Thank you guys for all the hard work! If Euro model holds, does that significantly downgrade chances for Houston metro to see that 10-15″ rain or is that still plausible? Does the hurricane’s strength have any impact on how the inland high pressure system might effect it? In other words, if it gets stronger, is it more likely to “push through” the high pressure, and then continue inland and weaken (as opposed to re-emerging into the Gulf of Mexico)? Thanks for the continued excellent work. I had the same question…does the increasing strength in any way increase the odds that it moves more like a key than a divining rod? I live in Freeport what do think the weather going to like down here? I ‘m scheduled to work Friday and Saturday night. Any thoughts on how the Austin area will be affected? I have not been following the weather for Austin, but did just receive an email that the farmers markets in Austin where we sell our goat cheese have been cancelled. So apparently there is some significant weather forecast. Thank you for your updates! Do you think flights will be able to get into IAH tomorrow evening, as late as 8:00-9:00? Thank you for your reporting. Has anyone commented on what the impact will be for The Medical Center? Should someone with a due date over the next 3-5 days make plans now to post up at a hotel near the hospital or will interstate routes into the Medical Center generally be OK? There are some camps that think barometric events can kick-start labor, so you might consider going in toward TMC if you’re out a bit, just in case your baby decides it’s an awesome time to arrive a little bit early. Nickel opinion. Congratulations! I arrived 5 weeks early during Hurricane Alicia, and I’m told it was due to the drop in pressure. My opinion would be that you should find a hotel very close. Main Street has some low points, BraesBayou isn’t far, and there is also that big underpass. Good luck!!! should I be concerned with storm surge in the Seabrook area? Judging by my experience here in Seabrook after Ike, where we had between 15-20 feet of surge, unless you’re along or east of Todville Road or bordering the back bays or Taylor Lake, you’ll probably be fine with the relatively-lower predicted surge with this storm. This will be more like what we saw during T.S. Allison and that wasn’t too-bad here… a little surge but a ton of rain. The flooding was very minimal and the drainage system handled it pretty-well because the water could easily-flow into the lakes and bay. As it stands, I’m not planning on going anywhere and I’m on the east-side of 146 near Seabrook Intermediate. I have a family member in ICU in the hospital and another disabled senior citizen family member. We’re in the Clear Lake area. Suggestions? My MIL lives 1/2 mile in from the water in Galveston in a house that did flood during Ike. Galveston has not issued an evacuation order at all. Wait for one or get the heck out of dodge? Or make the decision tomorrow morning? I’d wait for one. This surge will not be nearly as bad as that of Ike for Galveston. If you live in katy tx, do you believe you will experience power outages? I’m assuming no since you had mentioned outside of the loop will be manageable. Do you think flights out of IAH around 6:30 tomorrow evening will still be okay with the winds? Is there any probability of flooding extending into Thursday next week for the Houston metro area? How do you think Bear Creek/Addicks Reservoir will do? Can you comment on the positioning and strength of all the highs and lows impacting as steering currents? What about the 25% possibility of Harvey staying in South Texas? Also, Thanks for your help and Great Job! So it seems that the European model if it plays out would be better for the Houston metro area…am I right? Perhaps better for rain, but potentially worse for wind and surge. Do you forsee any delays in morning IAH departures? There will be delays, possibly starting as soon as Saturday. I’m sorry, I meant to add that my flight is a Friday. Sounds like I should be in the clear to get out of here. Thank you for your updates! You are our “go-to” 100%!! We appreciate you! No. Do not evacuate unless ordered to. You’ll clog the roads for those needing to escape coastal areas that have been ordered. During Rita many people freaked & tried to leave. People died from the heat evacuating unnecessarily. They barely made it to Katy and we had to open schools to travelers so they could escape the heat & possible storm. Yes this storm is looking more like TS Allison, but we’re far enough from the coast & should hopefully not have much rain draining from the north (which caused our most recent katy floods). Lifelong Houston…buckle down & make sure you have enough booze & essentials. What are the chances of my early Sunday morning flight taking off? I’m in Hitchcock/Santa Fe area. Would you suggest evacuating? I’m not worried about the flooding because I will be in a 2 story house. The wind and tornadoes is what worries me. Not to sound petty, but they just announced that the Coldplay concert is still on for Friday night. We would need to leave our baby with a sitter to attend this concert. Do you think it is wise to go and leave the baby? I am a HUGE fan, but I don’t want to risk the life of my child and family for them. what are the chances for my sunday morning flight? Can you comment on the likely accuracy of the mass text that is spreading like wildfire? Eric, I am planning on heading to Lake Charles Friday and returning to Houston before Monday. 1.) What are your thoughts on traveling on Friday in any capacity? 2.) Is returning Saturday AM my only true option to get back to Houston safely? Is that even a legitimate option? What are your thoughts on the outlook for Austin this weekend? Eric – As usual, great stuff. Live in The Woodlands, and due to your reports and discussion of scenarios, I got off my “kiester” this morning and checked that my rain gutters were clear and backyard drains weren’t covered with pines needles or other stuff. Already had plenty of batteries, flashlights, non-perishable food. Also filled 4 @ 5gal gasoline cans and started making ice blocks in freezer. Many thanks! My first reply didn’t post so apologies if duplicated. Does the Euro scenario mean that 15-20″ total is less likely in metro Houston or that holds, but not spread over as many days, so more threatening? What would it mean for Wharton? That corridor down 59/69 is now more prone to canal-type flooding at 3-4″ because of the construction and concrete barriers Thank you! I live in Klein Tx. We are supposed to leave for N. Dallas on Friday afternoon and return Sunday. Is this even plausible w/flooding concerns and traffic evacuations? Everybody who reads Eric’s reports — A NOTE ABOUT DRINKING WATER! If your water supplier issues a “boil order”, shut off intake to your house. The typical 40 gallon water heater has treated, drinkable water in it. For sanitary purposes, fill one or more bath tubs with water to wash, flush toilets etc. Even that tub water can be made safe to drink with about 10 drops of chlorine bleach per gallon. If you can’t get your intake shut in time and you can’t boil, 10 drops bleach per gallon if the water is clear, 20 drops per gallon if it’s cloudy. Might not taste good, but it won’t make you sick. I thank you so very much for your forecasts. We trust and depend on your information. It’s no nonsense and hepful more than any other weather forecasts. You may be familiar with Harold Taft, an amazing meteorologist who was a Dallas institution. You are definitely in his class. That would be “tepid” bath water. On a more serious note, I live in Katy. Do I need to evacuate? Hi Eric, would the weather affect flight tomorrow morning? I am scheduled to flight out of Hobby Friday morning at 9am. Thank you! I received an automated call from our cruise line and 2 texts today. They have not canceled the cruise as of yet. They will make another assessment Friday at noon and contact all passengers with that. 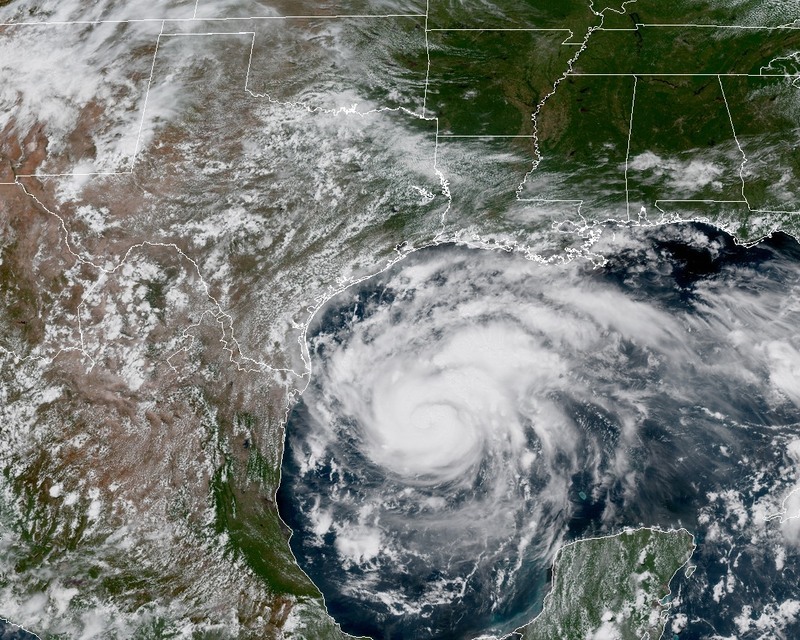 However it is official that the Captain of the Port set port condition to Yankee for the Port of Galveston and surrounding area, meaning that gale force winds are expected to reach Galveston within 24 hours. The Port remains closed to ALL vessel traffic and commercial activities. I know it is big loss for any cruise line to cancel and issue refunds, but it is inevitable so it seems. You all are studs and should add a tip jar to your site. I wouldn’t mind throwing a couple bucks your way out of appreciation. We will have a fundraiser at the end of the year. What about tornadic activity. Any thoughts? Probably not a major issue with this storm, at least not in the Houston/Galveston area. Great website, best source for local weather. Eric what are you thoughts on rain totals in Cypress/Tomball area? I’ll post an updated map this evening. Will it be on this link or where should I go to see your update? Thanks! Eric, thanks for your updates. Very much appreciated. When should Katy consider evacuating? Seriously, thanks for the great weather reporting. 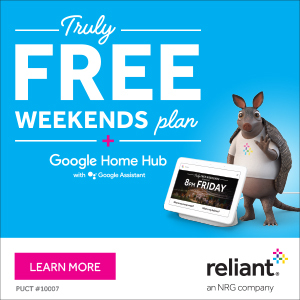 Houston is fortunate to have this low-hype clear communication. 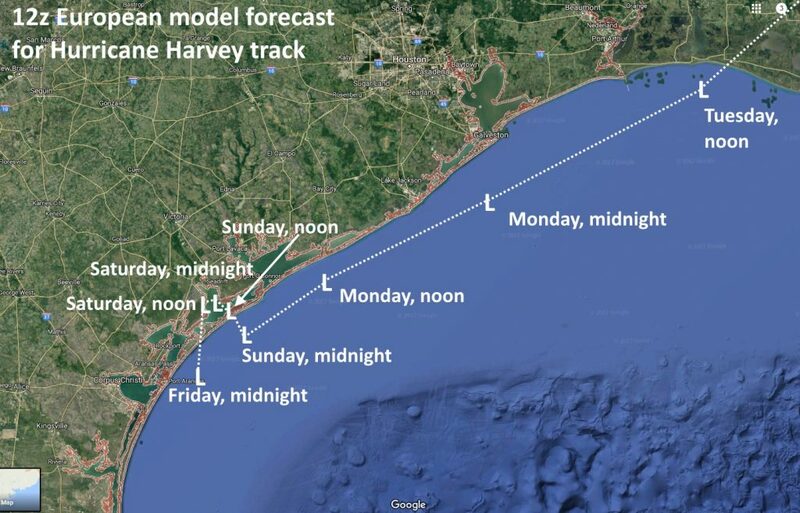 Could you tie Harvey’s movements up the coastline (according to the European model) to the tide schedule for Galveston. KPRC’s model (their own) continues to state the possibility of the Hurricane to move at a more Westwardly rate, South of Corpus Christi instead of Corpus/Matagorda…any realistic chances of this scenario? I’ve never seen a hurricane hit where they predicted it to this far out. I think it’s just as likely to hit Matagorda which I’m guessing would be a significantly different scenario for Houston. Concerns about Addicks and Barker? I’m worried about tornados… Is that a possibility? I live in Alvin, what would you say the rain total will be there? Eric, I know the path post initial landfall is unpredictable but is there any likelihood the storm could come back into the Galveston area after going back out to the Gulf? I’m concerned that we will need to evacuate but be flooded in by that point. Thoughts? Thanks for what you do, btw! Party at Kroger! The lady behind me gave me her Rum Punch recipe, so all is not lost. Seriously, the one in Clear Lake was already out of most produce, water and bread at 4:15 this afternoon. I inadvertently mentioned Eric’s awesome blog and I’ll likely regret it, since once word gets out how accurate he is, he’ll hit celebrity big time and quit answering comments. I’d still be okay with that. He saw me through Ike and missing out on an Eagles concert for my birthday, and of course, held a steady course for our space program. Love this guy. I think we need to do a bar-b-q/beer fundraiser in his honor in the spring. Thanks again, Eric! Eric, when you update, will it be at this link, or what link should I use to see your latest updates? Thanks!! Also let’s keep in mind that Facebook is the last place we should be looking for information. Someone is posting hysterical information there. Is it too late to vote ‘no’? My parents are scheduled to leave out on a cruise Sunday at 4 pm out of Galveston, will it all be ok by then . So far they have not canceled it. Do you think Sugar Land will be okay? My parents live there, and I’m worried.